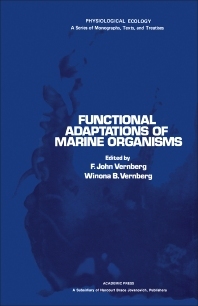 Functional Adaptations of Marine Organisms gives an insight into the functional adaptations of marine organisms to natural and man-made sets of environmental factors. The book presents discussions on marine habitats; physiology of marine primary producers and decomposers; and functional adaptations of animals in relation to each major ecological divisions of the sea. The book will be of value to marine biologists, biologists, botanists, and students.